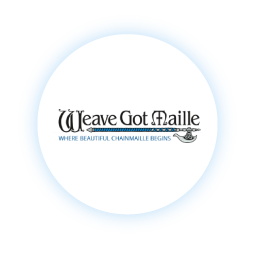 Weave Got Maille is a top e-commerce retailer and manufacturer of chainmaille, jump rings and jewelry kits. Weave Got Maille was a growing company that wanted to maximize their sales. They had never done any search engine optimization (SEO) work on their website and were unsure on where to even begin. Digital marketing was fairly a new concept to Weave Got Maille, and they were also looking for advice on how best to use online channels to reach their audience. They wanted to partner with a company they could grow with. Our approach consisted of creating tailored SEO strategies based off of our research and analytics. We started off by revamping their website internally and externally in order to maximize our SEO strategies. When it came down to configuring our SEO strategies, we first prioritized and optimized their website categories, restructured their navigation, expanded their category page for better readability, and fixed various technical issues. Through our efforts, Weave Got Maille gained a 150% increase in organic revenue in 7 months, increased their organic traffic by 328% in 7 months, and received the #1 ranking in search engines for their top keywords.